Wayfair’s B2B business, Wayfair Professional, is looking for an experienced professional to guide customer engagement within its Activation business unit, focused on giving newly-enrolled customers the best possible Sales experience. Wayfair Professional helps millions of businesses make good spaces great. We serve customers in the Office, Hospitality, Interior Design, Contractor, Property Management and other sectors, with a broad assortment across furniture, fixtures and decor. Wayfair Professional has grown rapidly and we are looking for talented individuals to help delight new customer experiences through amazing Sales experiences. As the Senior Analyst of B2B Activation Program Management, you will develop and drive the client engagement model across all Activation customers, ranging from new Interior Designers to Property Managers with dozens of property under management. You will be focused on identifying ways to best set our Enrollment & Onboarding sales teams up for success with their diverse books of customers. 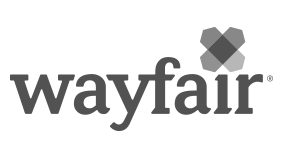 You will work to improve the existing programs, test new efforts, and advocate strategic asks to cross-functional teams across Wayfair, leveraging data to make strategic decisions.